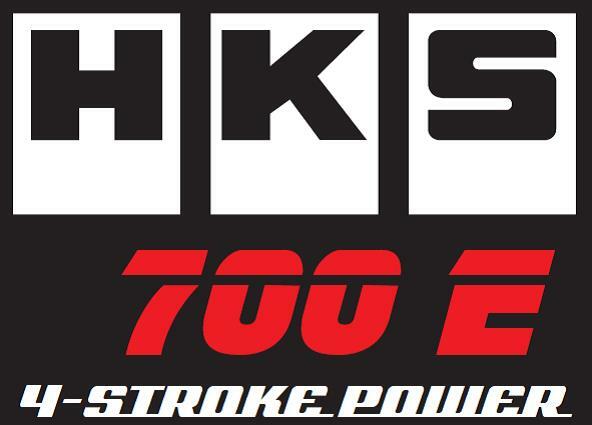 A new evolution of the HKS 700E is now available in the U.S. with increased power. By careful optimization of head flow and reducing internal pumping losses, the new evolution 700E has a 2 horsepower increase over earlier models. The HKS 700E four-stroke engine is in its fifth year of production; the engine is now flying in hundreds of Light aircraft, PPC’s and Trikes around the world. The HKS 700E is a 60HP, horizontally opposed two cylinder four-stroke engine. The 700E uses a combination of technology and simplicity to achieve the twin goals of high power output and reliability. The 700E is a very high quality product. Every major component was designed for light aircraft use and is made from the best materials and techniques available. The integral gearbox on the 700E uses straight cut gears with a spring-washer type torsional coupling ahead of the large flywheel. The gearbox is attached to the flywheel case; the gears are lubricated by the main engine oil system. The gearbox can be run up or down. The standard gear ratio is 2.58 to 1. A 3.47 to 1 gearbox is a no cost option for greatly reduced prop noise. The prop hub bolt pattern is the popular 75MM pattern; the direction of rotation is the same as a Rotax two-stroke. The carburetors are the Bing Constant Velocity type, which varies the mixture with horsepower and provides a modest amount of altitude and temperature compensation. The valve train of the 700E is operated with pushrods off of a single, centrally located camshaft; valve lash is adjusted automatically with hydraulic lifters. The crankshaft and connecting rods are forged, and run in split shell type bearings. The ignition is dual CDI, programmed to vary the timing for ease of starting. The connectors to the electrical system are large sealed type and can only attach to the correct component. The charging system is 17.5 Amp/210 Watts. The exhaust systems are available in 4 configurations and now meet the European noise requirements. Our testing with typical, fixed pitch propellers showed an average fuel consumption of between 2.0 and 2.5 gallons an hour at typical cruise settings. The HKS 700E engine comes with the Bing CV carburetors, electric starter, gearbox, air and oil filters, choice of gearbox ratio. *Engine instruments, oil lines, hoses, starter solenoid, battery and propeller not included. Prices subject to change without notice. The 700E comes from HKS with detailed Installation, Operations and Parts manuals. The HKS 700E’s are shipped assembled and factory test run for 1-1/2 hours and fully broken-in. Q? What is the TBO? A. 1000 Hours ob engines produced after serial nmver 100800. Q? Is the HKS 700E a Certified or ASTM Compliant Engine? HKS700E engines serial #101105 and above are Special-Light Sport Aircraft/ASTM Complaint. For a statement of compliance click here. Q? Why does the 700E have such a high operating RPM? Is this normal for a four-stroke engine? A. The 700E was designed to get two-stroke like power output from a four-stroke engine. The way to get more power from a given size engine is to make it do more work, meaning more RPM. The operating RPM range of the 700E is normal for an engine using modern motorcycle technology. The Rotax 912 four-stroke has a similar operating range. Q? Why does the HKS have a gearbox, isn’t direct drive lighter and simpler? A. The larger the propeller, the more thrust it will produce, particularly at the relatively slow climb speeds of light aircraft. More low speed thrust means more climb. As well, there is the great benefit of much lower propeller noise than direct drive. The 700E gearbox has two ratios available 2.58 and 3.47 to 1. Q? Can the gearbox be positioned up or down? Is it a big deal to swap the position? Can the engine be run inverted? A. The gearbox can be positioned up or down. To change the position the front cover is removed and rotated. The HKS 700E cannot be run inverted. Q? Why does the HKS have separate oil tank? And what is a “dry sump” engine? A. The 700E has a separate oil tank to reduce the package size of the engine. Most conventional aircraft engines are dry sump for the same reason. A “wet sump” engine has it’s oil supply in the oil pan at the bottom of the engine. A “dry sump” engine has a separate scavenge pump to take the oil from the bottom of the mini-sump at the bottom and a supply pump to send oil under pressure through the engine. Q? Can the HKS engine be used in pusher installations? A. Yes. As a matter of fact the 700E has been designed to work specifically in both the pusher and tractor configurations. A majority of the engines sold are operating in the pusher configuration. Q? What type of engine mount does the HKS have? Do you sell mounts? A. The 700E has a base mount similar to but slightly different than the Rotax. There is also a requirement that the engine mount has a hole for in the center for the sump to fit into. We can work with you with the design requirements or send you to an HPower Approved Dealer or OEM for more help. We have worked with the many airframe manufacturers to develop mounts. We feel that this is the best way as they know their planes requirements. Q? What type of fuel does the HKS require? Can it use 100LL? A. Automotive, Non-Alcohol, Unleaded-high test is best. 92 octane Unleaded is typical. 100LL Avgas can be used during cross countries without worry. Constant use of leaded fuels requires different lubricating oils to be used to avoid lead deposits. Q? What is the fuel consumption of the HKS? A. The fuel consumption in typical operation is between 2 gallons and 3 gallons an hour. In our testing, the fuel consumption we have noted is 2.5 gallons an hour @ 75%. The Dyno testing according to the JIS (Japanese Industry Standard) requires the engine to be tested in a manner that does not reflect propeller loading. This makes HKS’s consumption numbers very conservative. Q? What type of propellers work best for the HKS? Are they readily available? A. Aerolux, KievProp, Warp Drive, Ivo, Powerfin "F" model, GSC just to name a few. Q? What type of exhaust is required? Can you run straight pipes? A. The 700E was designed as a complete system. There are requirements for back pressure and length of the exhaust manifold as a part of the system. Both the intake and exhaust manifolds are optimized for a flat torque curve. Q? Are the carburetors used on the HKS altitude compensating? Why don’t they use Fuel injection? A. The Bing C.V. (Constant Velocity) carburetors are capable of 50% mixture compensation to approximately 10,000 Ft. due to the CV design which uses a diaphragm-slider to vary the mid range mixture. The Rotax 912 four-stroke uses the same carburetors. Fuel injection can be expensive. Q? How much does a complete engine package cost? A. We sell the 700E as a complete system. We have chosen the best accessory components we could find to match the quality of the engine itself. Q? What is the warranty on the HKS 700E? A. The Warranty is one year from purchase or 100 hours of engine time.